Apple makes great efforts to raise awareness of and advocate for accessibility, especially for people with disabilities. 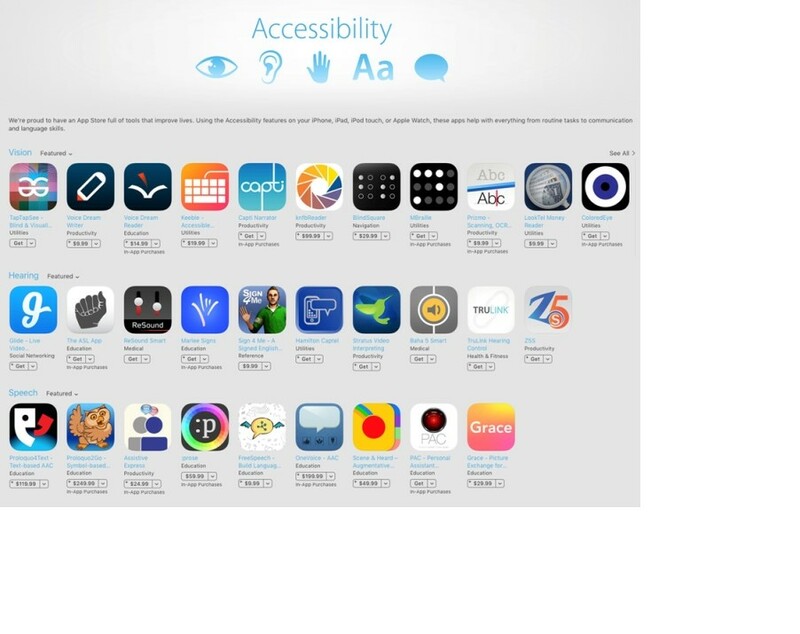 On Apple’s Global Accessibility Awareness Day May 19, they updated their Accessibility apps collection, highlighting iOS apps and developers who are helping make the world better for all. The apps are categorized by need, including vision, hearing, speech, and what Apple calls “Accessible Home with Siri.” Like it does with its other app collections, Apple refreshes the accessibility one periodically. Importantly, these updates help spread the word about developers who offer great, albeit specialized, apps. Among them is Cochlear’s Baha 5 Smart App! 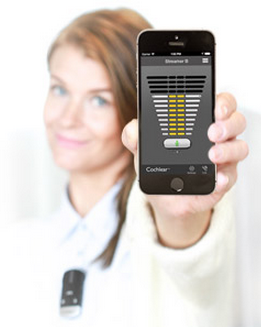 The Smart App lets you optimise your hearing experience directly from your iPhone. You can quickly and easily change programs, adjust volume and even play around with the treble and bass. You can save custom settings for certain locations and get help finding your sound processor if you misplace it – all done smoothly and discreetly via your iPhone. If you are using a Baha 5 Sound Processor, don’t miss out on this amazing technology – download it here! The collection is primarily available in English speaking countries like the US, Canada and Australia. Can the Baha 5 Sound Processor stream directly to Android phones? Question: Do you know when or if the Baha 5 Sound Processor will be able to stream directly to Android phones like it does for the iPhone? I have the phone clip which streams to my Samsung Galaxy S5, but I would like the Baha 5 Sound Processor to stream directly to my Android phone, so I do not have the hassle of remembering to possess and turn on the phone clip. Answer: Dear James, thank you for your question. Currently, only Apple offers the technology to stream audio directly to a Baha sound processor. To stream sound and take phone calls from an Android phone you need the Cochlear Wireless Phone Clip. The Baha 5 Sound Processor can connect directly to your compatible iPhone, iPad and iPod touch and allows you to stream audio and control your sound processor via the Baha 5 Smart App. The Baha Control App lets you adjust volume, change programs and activate streaming on your sound processor by connecting to the Phone Clip. 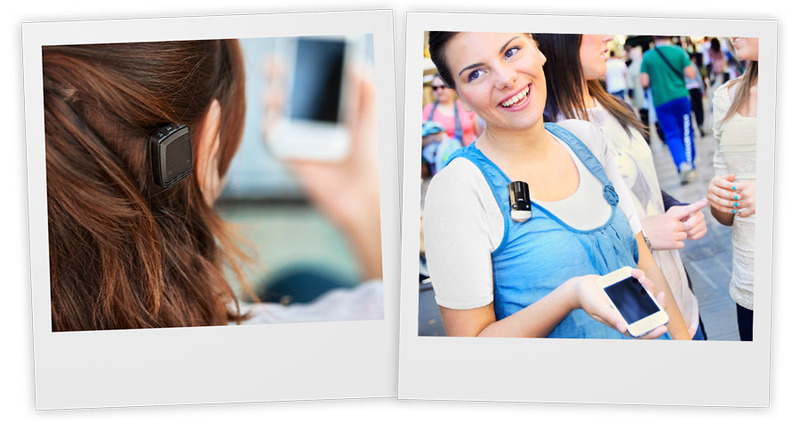 With the Phone Clip you can also make hands-free calls and stream music and audio from compatible phones and tablets. The Phone Clip can also be used as a remote control for adjusting volume and change program as well as muting the sound processor. The new Baha 5 Sound Processor is here! Incredibly small – and unbelievably smart. 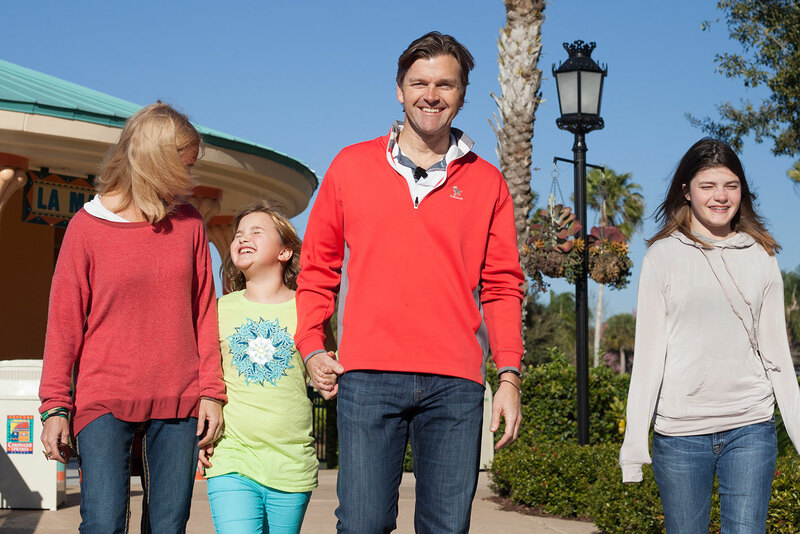 Cochlear launches the new Baha 5 Sound Processor – the smallest bone conduction sound processor in the industry! You want to hear better, but might not necessarily want everyone to know about it. 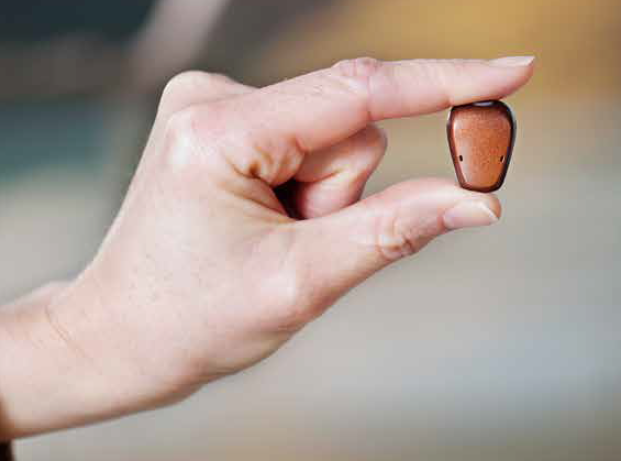 With the world’s smallest sond processor, you’ll have an amazing hearing experience without calling attention to your hearing loss. The Baha 5 Sound Processor is not only incredibly small, it’s unbelievably smart. It’s actually the first bone conduction sound processor in the world that can stream sound directly from an iPhone, iPad or iPod touch. 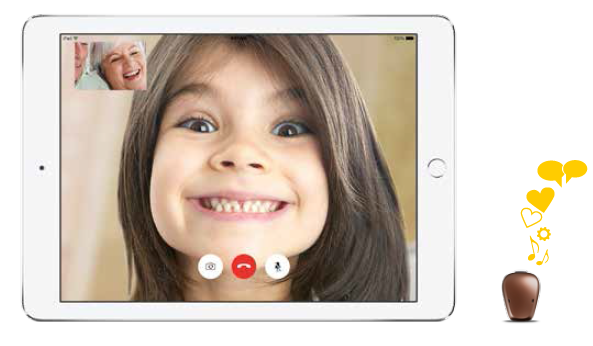 Until now, Made for iPhone technology has not been available for people with hearing implants. But with this breakthrough technology, people with a Baha 5 Sound Processor can enjoy music, games, movies, or a FaceTime call streaming straight to their sound processor, no intermediary device needed. Clear and crisp, high-quality sound. And it doesn’t end there. With the new Baha 5 Smart App* you can completely personalise your listening experience directly from your iPhone. You can save programs to specific locations, adjust volume, and even track down a misplaced sound processor – all discreetly done on your phone. Smart and seamless. The Baha 5 Smart App is available for free download from the App Store now. Great news! Cochlear Baha users can now use smartphones to control their sound processor. 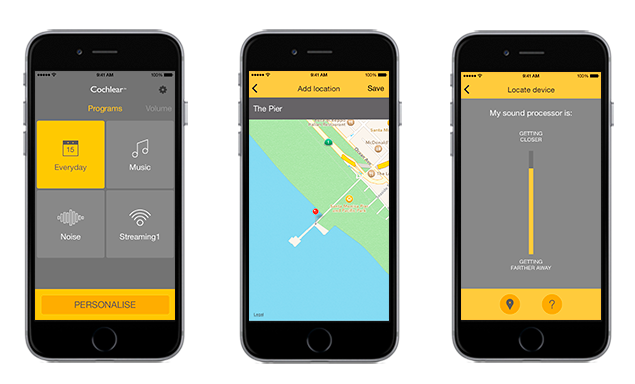 With the Cochlear Baha Control App and the Cochlear Wireless Phone Clip, you can turn your smartphone into a cutting-edge remote control for your Baha 4 Sound Processor. You need an iPhone 4, iPhone 4S, iPhone 5, iPhone 5S or iPhone 5C running on iOS7 or later. If you have an Android Smartphone, it should be running version 2.3 or later. (Not all Android Smartphones are compatible). Pair your phone to the Phone Clip. You will find pairing guidance under Settings inside the app. You can also download the Setup Guide for pairing guidance here. The app is currently available in English speaking countries to be followed by more languages soon. Hearing loss can be caused by a number of different factors, but the two most prevalent causes are age and prolonged exposure to loud noise. 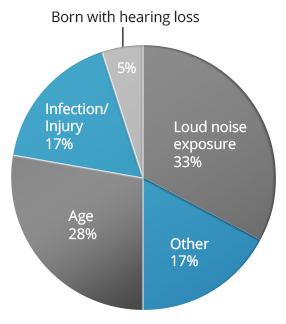 An estimated 37% of Australians¹ and 15% of Americans between the ages of 20 and 69² have hearing loss as a result of heavy noise exposure. Loud noise damages the sensitive hair cells in the cochlea. When these hairs or nerve cells are damaged or missing, electrical signals aren’t transmitted as efficiently and irreversible hearing loss occurs. 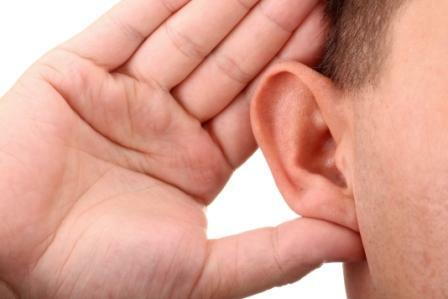 The other major cause of hearing loss is the natural ageing process. It is the third most common medical problem in older Americans.³ Age-related hearing loss occurs gradually over time. Various changes in the inner ear can cause the condition, such as changes in the structures of the inner ear, impairment in the nerves responsible for hearing, and changes in the way that the brain processes speech and sound. Diabetes, poor circulation and smoking also contribute to age-related hearing loss. So what CAN we do? We can’t very well not age, can we? No matter how much we’d like to. But by being mindful of the noise levels around you and taking simple precautions, we can prevent and limit hearing loss throughout our lifetime. 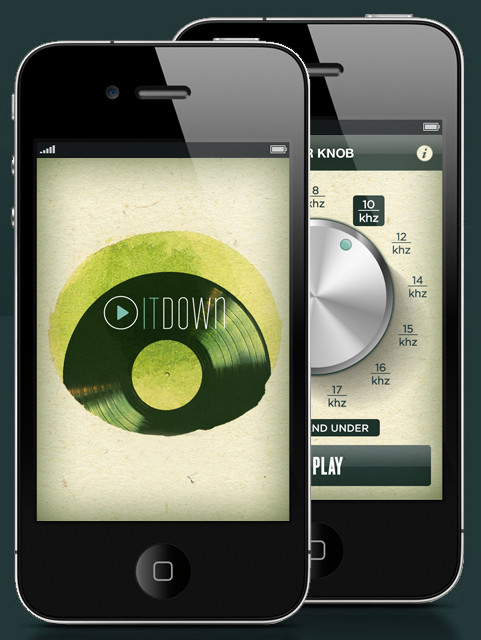 Test your hearing with the free Play It Down app for iPhone and iPod! Is there a Baha 4 smartphone app? Answer: Thanks for your question, Keith! We know that many Baha 4 users ask for an app to control their sound processor from their smartphone. We are glad to inform you that we are developing such an app and that it will be commercially available shortly. Please keep an eye out for new information on our blog and website.